I am so thrilled that this week is ending on such a tremendous high; it means we will all be starting the new week at RSPCA Manchester and Salford Branch with a spring in our step. It’s all because of a wonderfully triumphant day for our dogs but 24 hours ago the outlook was very different indeed. Perhaps the first triumph comes in the form of our beautiful SBT Sadie. I took a call the week before enquiring about dogs available for adoption. The lady described what she was looking for: we had the perfect dog. But as always it was with a tinge of trepidation that I raised the small matter of her breed. To the eternal credit of the caller her initial reticence took her on a journey of discovery and rather than listening to those prejudiced around her, she and her husband went and did their own investigations and came back hammering down our doors to come and meet her. You see, what they learnt was the truth, i.e. that SBTs are one of the most loving, loyal and good natured dogs you could ever wish to meet. A trip to the cattery mid-week demonstrated how special Sadie is when naughty Rigby cat (who went to his new home yesterday) took a great big swipe at her through the bars of his pen door and she just sat there looking bewildered. Sadie left our care at 10.30am this morning with a very excited new mum and dad. As I type this I am pretty confident that Sadie will be lounging on the sofa, snuggling up to her new parents and smiling whilst she enjoys a belly rub. What a lucky girl. The second triumph comes in the form of one of our trustees, who found a home for a new admission – a chocolate Lab – within days of his arrival. Today he has been viewed, reserved and had his home visit done! So, once he has been neutered and completed his assessment period he will be going to his new home. Let me tell you, this dog is smashing and truly deserves the life of luxury and love that he is about to receive. The third, and perhaps our most exciting triumph, is Oscar dog (pictured above). Oscar came into our care in a distressing state last November. He was underweight and was scarred and lumpy as a result of the years of beatings he had endured. We spent a month rehabilitating him before we proudly put him up for a adoption. Despite his handsome good looks and charming personality there was not a single enquiry about him in two months, until this week……. In fact, I was so excited after taking the initial call that I text all the staff and Sunday dog walking team to tell them all about it. The caller was excited as I was: she hadn’t slept all night after finding him the previous evening on our website and I was so excited because she was offering the perfect home for him. I then waited with baited to breath to hear back from the caller to make an appointment to come see him. Thankfully I didn’t wait long at all and we talked some more and made arrangements there and then on the phone to deliver Oscar to them if they fell in love with him! So, at 12 noon today, those of us who weren’t in work sat by our phones eagerly awaiting the arrival of Oscar’s potential new mum and dad and the outcome of the viewing. An agonising 75 minutes passed and then the phone rang: it was love! I can’t begin to explain how much this means to us all but needless to say we are all so thrilled. On Wednesday Debs and Catherine will take Oscar up to his new home in Cumbria (primarily because he gets quite travel sick and it’s easier to clean up our animal van than it is a car). It also means that we get to have the pleasure of seeing where Oscar will live out a life of happiness, which will include daily two hour walks in a National Trust forest (that’s out the back door of his new home!). I am so truly grateful for this miracle and to his new mum and dad for offering everything we could wish for and more for Oscar. We know they will give him all the love, support and training that he needs. He may have been with us three months but it was well worth waiting for. I mustn’t also forget to mention that Lola the bulldog is going to her new home this Wednesday – oh do we love that funny girl! And we already have a new girl lined up to come in who is a beautiful rotti. She is currently in emergency boarding so it will be great to get her in our care. 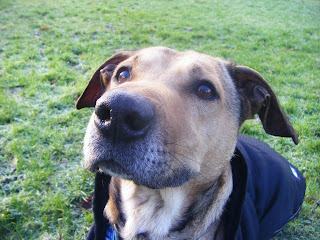 For those of you who don’t know we don’t have our own kennels and instead pay to board our dogs in a private facility. We used to spend four days a week on site but this week we’ve begun trialling a 5th day. It means that the dogs can enjoy even more attention and stimulation and hopefully it will improve their welfare too. I’ll be regularly joining in on the 5th day at the dogs, and although it will mean playing ‘catch up’ on my workload at home I know it will be worth it. I already spend every Tuesday morning with the rabbits and I can tell you the benefits far out-way the loss of an evening or two a week. There is just nothing better than actually spending time with the animals and I’m sure they benefit so much too. We’ve also had a tremendous week on cat rehomings, so much so that the cats and kittens are coming in and out faster than we can get them listed on the website for adoption! It has been really fast paced of late and whilst the workload has mounted up, it isn’t half a good feeling to be able to say ‘yes’ to requests from our rescuing and treating RSPCA staff. But I cannot end without talking about the sadness we have encountered this week. Again, it is the all too familiar tale of rabbit neglect. This week two beautiful bunnies died. They were Little Bob and the magnificent Hilda. Both were tragic losses. Bob’s was certainly as a result of the awful neglect we speculate he had endured. I say speculate because all we know was that he was abandoned and he had the worst overgrown claws the inspector had ever seen. My hunch is that he was thrown out after having spent months, if not years, being ignored. Hilda’s, however, was a simple operating theatre loss, which is only the second time in four years that this has happened and out of well over 200 rabbits. Whilst so rare, it is no less gutting. But what really tipped the balance this week was the arrival of our new bunny lady yesterday. I am not willing nor able to share the details,but perhaps if I tell you that she brought tears to the eyes of one of my most experienced staff member that might give you a measure of just how sickening her state of neglect was. Maybe one day I will share her story. In the meantime I take solace knowing that this little soul, who we have name Twiggy (yes, black humour is essential at all times!) is safe with us now and we will do all we can to rehabilitate her and rehome her just like Oscar. I just wish there was a greater sense of equality amongst people’s perceptions towards differing species. If ever you were in doubt about the individuality of small furries like rabbits, rats and guinea pigs then you need to spend time at my house; you’d soon change your mind!